Bri Eggers is a meteorologist at KTVB in Boise, Idaho. 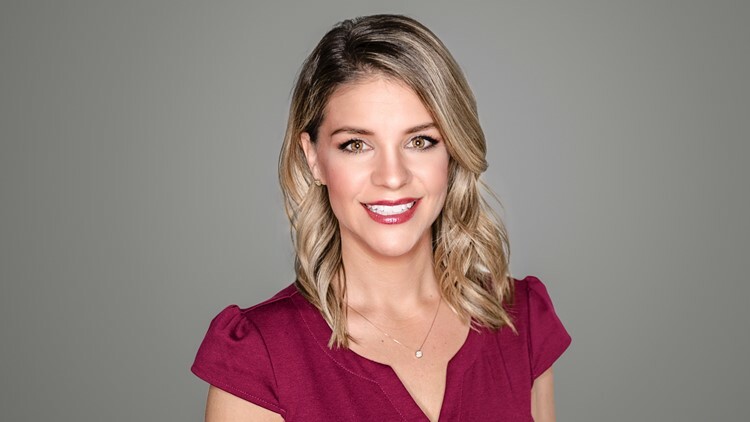 Meteorologist Bri Eggers joined the KTVB weather team in the fall of 2018. Bri is the daughter of a 3rd generation peppermint farmer from right here in the Treasure Valley and graduated from Kuna High School. After spending a few stints away from the area, she couldn’t be more thrilled to be back home in the Gem State. After her days as a Kaveman cheerleader, Bri moved to San Diego and graduated with honors from San Diego State University. During college, Bri participated in the Disney College Program and worked for a semester at EPCOT – and also studied abroad in Oxford and the Netherlands. Bri completed the Broadcast Meteorology Program through Mississippi State University. She is an active member of the American Meteorological Society as well as the National Weather Association and has earned the NWA seal of approval. Bri spent four years in Boston, where she earned two Emmy nominations and forecast blizzards, nor’easters and humid summer days. But she is now excited to dive back into mountain meteorology. Just like Dorothy Gale said, “There’s no place like home!” She’s so honored to be a part of the award-winning news team she grew up watching. When she’s not on KTVB, Bri is spending time with her hilarious husband, Sean, and their baby daughter, Charli JoAnn. Bri loves to run and completed the 2016 Boston Marathon to raise money for suicide prevention and mental health awareness. She’s also a self-proclaimed “crazy cat lady,” and possibly the biggest fan of Huey Lewis and the News.